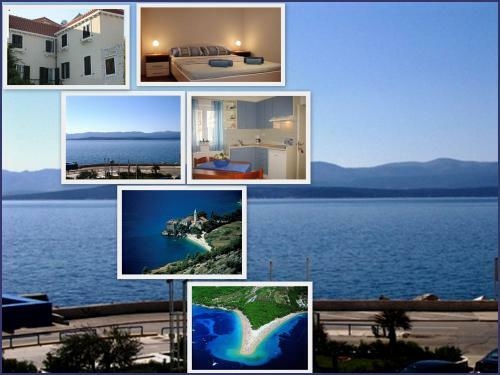 Kito Apartments are located in the first row to the sea, in the center of Bol on the island Brač. Close to all facilities, in the very center of events, to the first beaches you are within few minutes walking, and in 10 minutes you come to the most beautiful Mediterranean beach, famous Zlatni rat. Kito apartments offer air-conditioned and modern apartments with sea views. All rooms have en suite toilet / bathroom, air conditioning - cooling or heating, satellite TV, equipped kitchen, and wireless internet access. Guests have at their disposal a terrace.